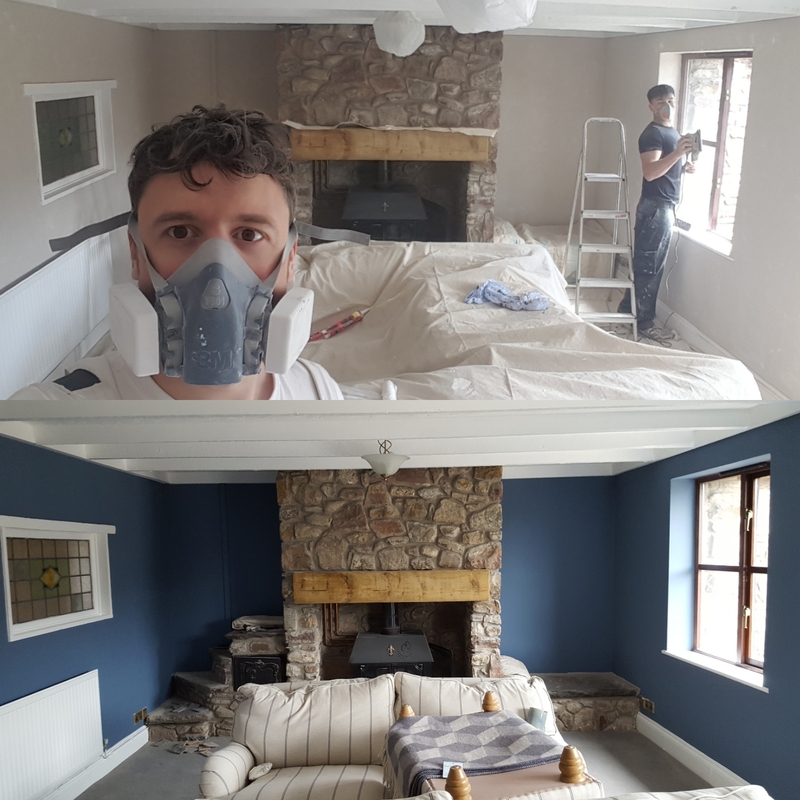 Before and After photos. 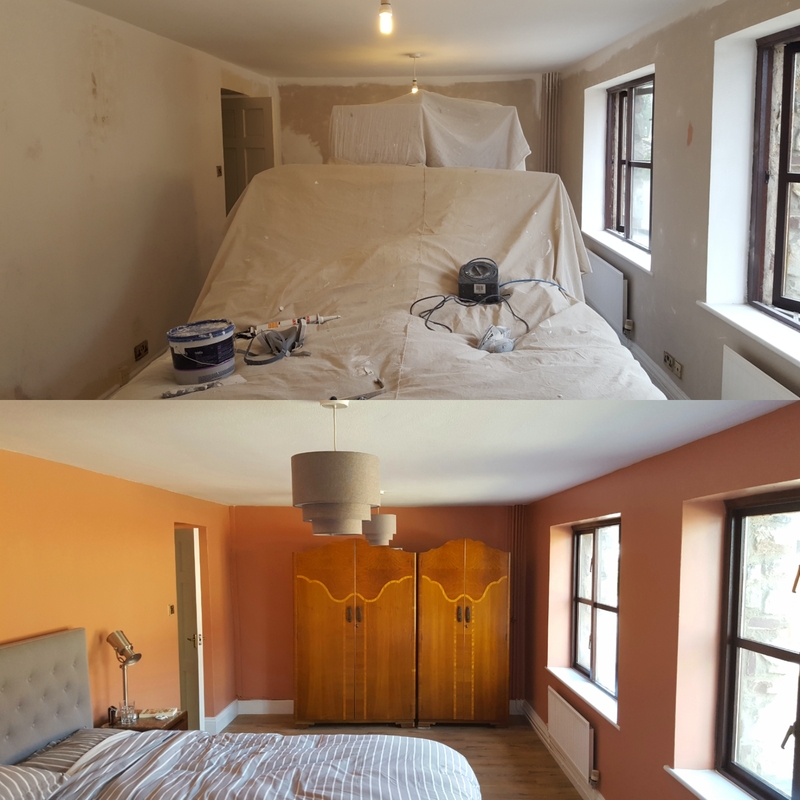 The master bedroom walls are painted using Dulux Copper Blush. Living room walls painted with Crown Pier View, a part of the Crown Period Collection.